If someone described a neutral country with a rapidly growing population of 4.5 million people, that is held in good standing by neighbours, whose people have a reputation for hospitality and being great talkers, with a distinctive style of traditional music, you might guess they were talking about Ireland. There is also a country in the Middle East that fits the profile, however - the Sultanate of Oman. It's a growing market for Irish companies and a gateway to additional markets in the wider Middle East. A recent trade mission, composed of 32 Irish companies and led by the then Tanaiste, Frances Fitzgerald, testified to the growing importance of Oman as a regional commercial hub. Three Enterprise Ireland-backed companies, Ding, iheed and mAdme, announced deals and partnerships with Oman-based companies during the trade mission. Talal Said Al Mamari, ceo of Omantel, affirmed the importance of Irish innovation. "We are always looking for innovative ways to communicate and interact with customers to better understand their experiences and expectations. Using mAdme's platform allows us to enhance that experience by engaging customers at the right moment with exactly the right content," he said. Agreements were signed by Enterprise Ireland and Atlantic Bridge with the state-backed Oman Technology Fund (OTF). A major aim of these agreements is to further aid market entry for Enterprise Ireland clients to Oman and to position Ireland as a hub for Omani companies with plans to expand their presence in the EU. The OTF aims to learn from Ireland's experience as a world-leading technology startup centre to support the development of its own startup ecosystem, tailored to the needs of the Gulf region. A related initiative has seen the OTF partner with Ireland's National Digital Research Centre (NDRC) to run a pre-seed accelerator programme in the capital, Muscat. Oman is focused on increasing diversification to drive economic growth, creating opportunities for Irish companies to assist in the process. David Shackleton, Ding's chief executive, described the strengths that attracted his company to the region. "Oman is a significant and exciting growth opportunity for Ding given the flourishing economy and a proactive approach to world leading technology. We are thrilled to partner with Asia Express Exchange across more than 30 branches," he said. Irish companies already have strong positions in sectors such as ICT, healthcare, engineering and education, with almost 650 Omanis currently in higher education in Ireland. New opportunities are quickly emerging in sectors including aviation, agritech, aquaculture, food production and eLearning, in which Ireland has a strong export offering. Oman has developed a reputation as the 'Switzerland of the Middle East', maintaining strong political and commercial relations with both Saudi Arabia and Iran. Leveraging its network of friendly states, Oman is developing its status as a logistics hub, with the expansion and development of major ports at Salalah, Duqm and Sohar, and upgrades to international airports in Muscat and Salalah. The country is building a railway network to connect its three port cities with Gulf neighbours. Boosting private sector participation in the economy is a key goal, as well as investment in indigenous food production, mining, shipbuilding and repair. 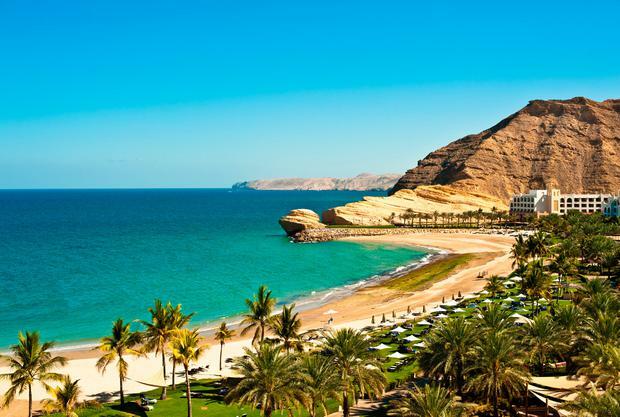 Perched on the Arabian Peninsula, with 1,700km of coastline, Oman is an emerging tourist destination, with beautiful beaches and landscapes, coupled with outstanding nature and heritage tourism. Aiming to target up to five million foreign tourists by 2020, Oman expects to host four million foreign tourists in 2017 alone. There is a substantial opportunity for Ireland to assist Oman in developing its tourism capacity, in areas such as training, infrastructure, and ICT travel and tourism solutions. Clearly, whether for business or for pleasure, Oman will continue to be an attractive new market for Ireland.